Hakuyu Taizan Maezumi, Roshi (1931-1995), was abbot of the Zen Center of Los Angeles (ZCLA) and had a strong influence on the growth of Zen Buddhism in the United States and Europe. He received Dharma transmission from Hakujun Kuroda, Roshi, in 1955. He also received approval as a teacher from Koryu Osaka Roshi and Hakuun Yasutani Roshi, and so was Dharma successor in three lines of Zen. He came to the United states in 1956 and there eventually founded the ZCLA, giving Dharma transmission to twelve successors. 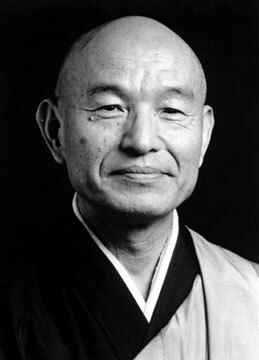 Maezumi Roshi died in Japan on a visit to his family in May 1995. He is survived by his wife Martha Ekyo Maezumi and their three children, Kirsten, Yuri and Shira.